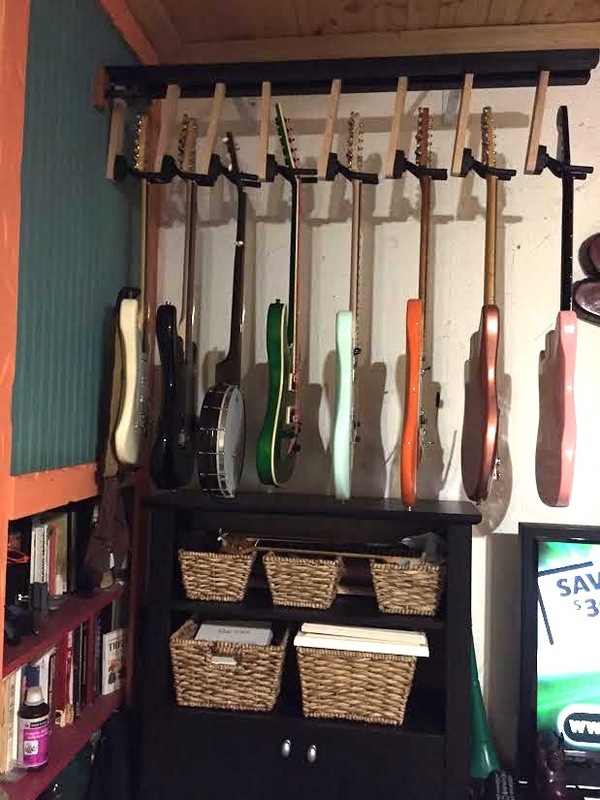 Wife said it was time to organize my guitars. Tried to think of the most space saving way to do so. 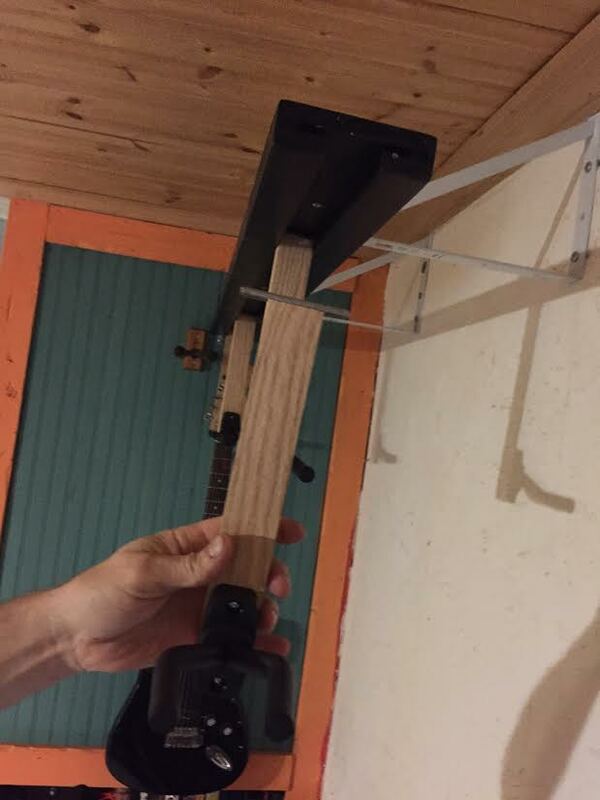 So I made a hanging rack. Kind of like hangers on a closet bar. She had purchased a bunch of wall hangers from ebay that were cheap but good enough. 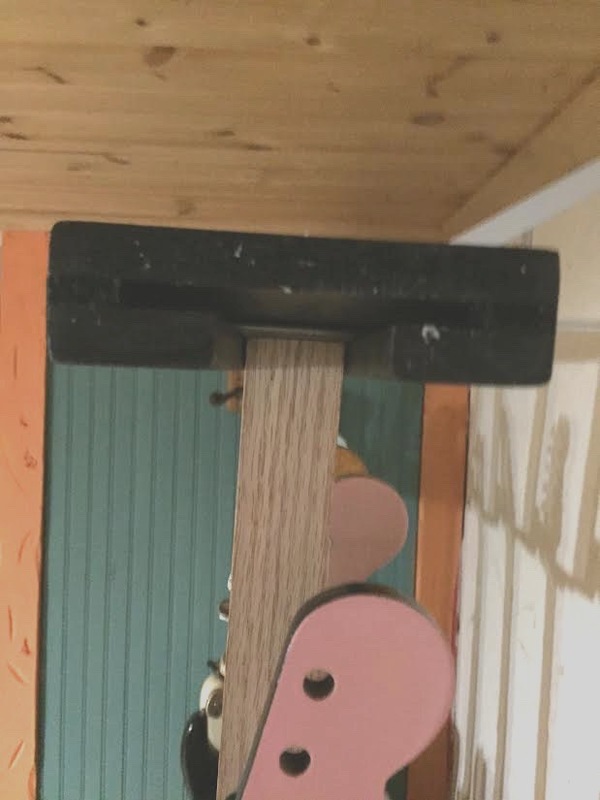 So I made a T-channel rack and some hangers to go on it. 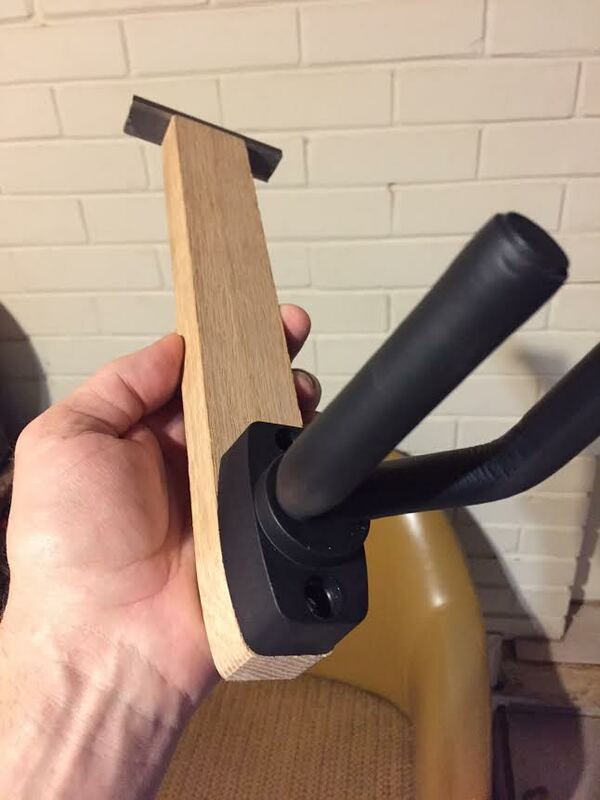 They can slide back and forth, but can not twist out of the rack. Nice and tidy work there, and the neato sliding action is something I reckon you could patent with a little work [/hush]. I reckon it'll kinda beat the heartily - spammed SLAM AND BANG HANGER by a good mile and some. Thanks ultra. I told my wife what I was going to do and showed her it when it was done, but not hanging and she told me she never seen anything like that. 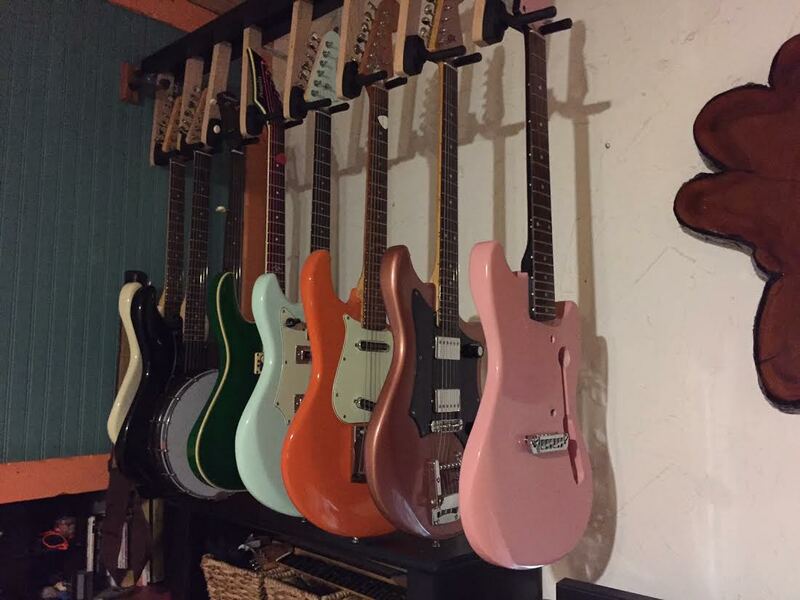 She has been looking all over the Internet trying to find ways to store my guitars and never found anything like that. And nothing compact for storing them either. I agree; really cool idea. Why hasn't anyone thought of this before? Beautifully well designed and executed. That's a very clever idea.